Welcome to our Customer Corner ! 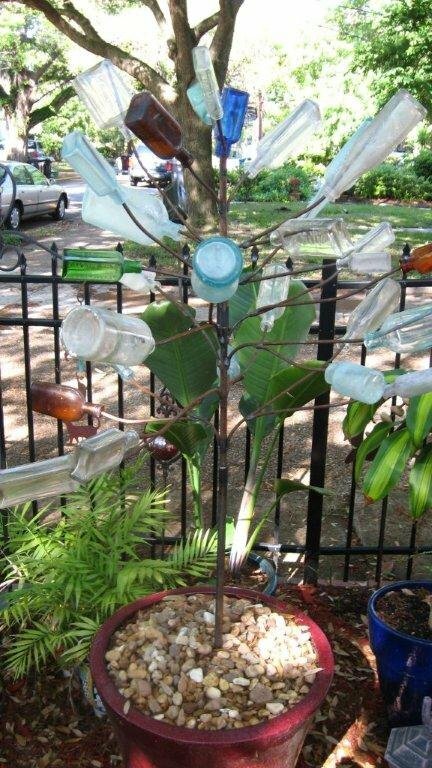 "I just wanted to let you know that I left my bottle tree up and I live in Illinois. We have had a tornado this fall and then a very bad winter both with extremely high winds and my bottle tree looks the same as when I put it up with all bottles still hanging!!!! I LOVE IT and you did an excellent job making it. I can't thank you enough." NOT JUST FOR BOTTLES !! Submitted by B.B. St. Louis Mo. 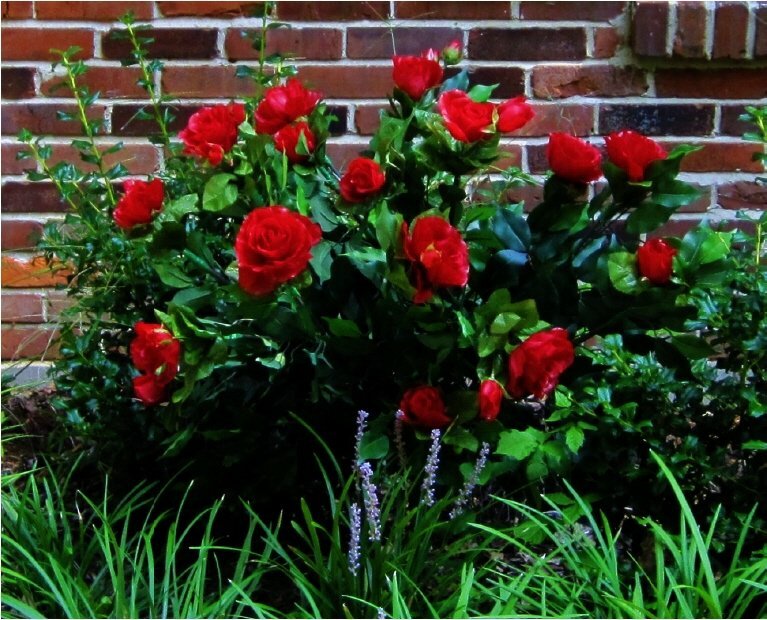 "Our Mini-Tree with silk roses"
28 Antique Bottles & Planter ! Submitted by Mary, St.Augustine FL.